What Happens if Your Chihuahua Eats Raisins and Grapes? Grapes are toxic to dogs. Foods that you love and eat every day can be deadly to your dog, even such seemingly innocuous things as raisins and grapes. This is especially true of Chihuahuas, whose tiny size puts them at risk if they consume even a small amount of these potentially deadly yummies. Raisins and grapes are both toxic to your Chihuahua, though according to the American Society for the Prevention of Cruelty to Animals exactly what is in them that makes them toxic isn’t certain. Since raisins contain all of the same toxins but in a more concentrated form, your little pet can more easily find room in his tummy to hold enough raisins to make him very ill or kill him. 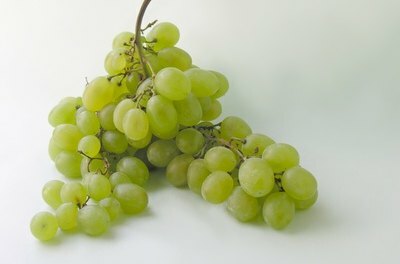 Even a few grapes or raisins are enough to kill a tiny dog like a Chihuahua. Grapes and raisins don’t necessarily harm every dog every time. There have been many instances of people feeding grapes and raisins to their dogs without any negative consequences. Some pet owners have even used them as treats for their dogs. For reasons that aren’t clear, some dogs can eat raisins and grapes without serious consequences, while others may die from a relatively small amount. It’s best never to feed these to your Chihuahua, since his small size makes him particularly vulnerable to potential toxic effects. If your Chihuahua consumes too many raisins or grapes, he may begin to vomit right away or he may not start vomiting for several hours. He is also likely to have diarrhea. 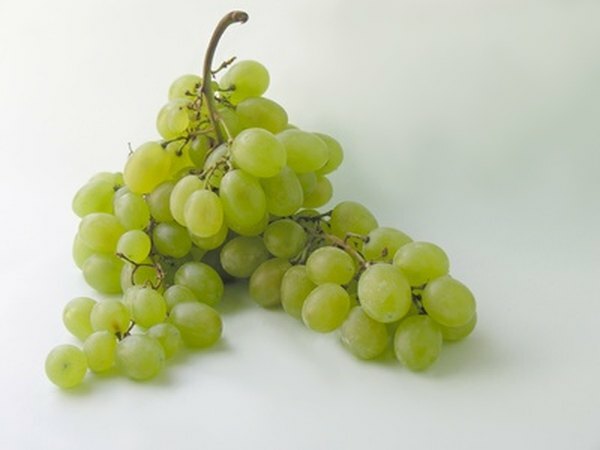 Grape or raisin skins are often evident in the vomit and sometimes in the diarrhea as well. He may become lethargic and stop drinking and eating within the first 24 hours as his kidneys begin to struggle. Eventually he will stop urinating and he may show other signs of being in physical distress, such as depression or generally acting sick. If your Chihuahua has eaten raisins or grapes -- even a single one -- call your vet immediately. While some dogs aren’t sensitive to the vine fruit, if your dog is one that is, he could deteriorate beyond saving within a day or two. If you respond immediately, a vet will typically pump your pup’s stomach or induce vomiting, then administer some activated charcoal to absorb any toxins. Your vet may also advise a day or two of intravenous fluids to flush any toxins from your dog’s kidneys. If the situation warrants it, your vet will likely recommend dialysis to assist your Chihuahua’s kidneys as he recovers. What Nuts Are Deadly to Dogs? Is Salt in Cat Food Good or Bad? Will the Peace Lily Make Dogs & Cats Sick?